Looking forward to attending the second edition of this event tomorrow. Organised by Omnix International and sponsored by various technology suppliers with HP & Intel heading the list. A number of guys will be jetting in from Autodesk again, including Lynn Allen of course. We are sending along a core group of BIM fanatics from GAJ for the day. Apart from the sessions themselves it's always a great opportunity to network with people from other firms as well as suppliers and resellers. Life in Dubai is starting to get hectic again, lots of new projects coming up and of course Expo 2020 is bound to have an impact. So it will be interesting to sound out the buzz tomorrow. I am hoping to get a look at Infraworks. I'm vaguely aware of this product, but have never seen it in action. There are a couple of sessions tomorrow. 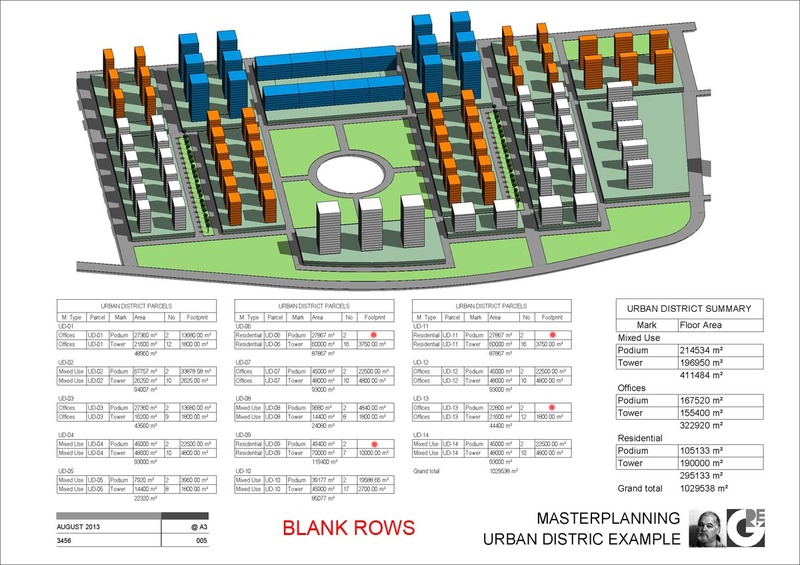 Dubai is well known for mega-projects and we get our fair share of master planning work, so I'm always looking for BIM approaches to this kind of work. Sadly I think it's oriented to engineer-led "infrastructure" than architect led "urban design". But it's worth a closer look. A recent post took me back to the traditional sliding sash windows that I so admired as a young man engrossed in the practicalities of building work. 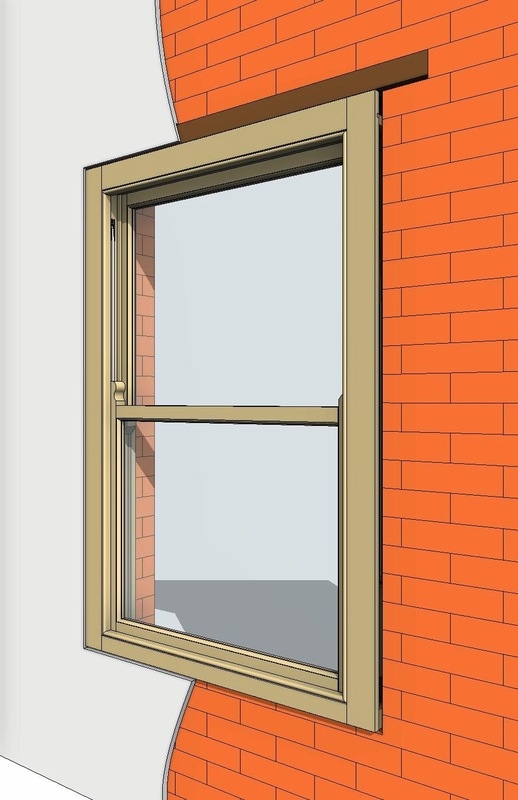 I decided to set about building a typical sash window in Revit ... piece by piece. Let's start with the sill section. A nice chunky piece of solid wood with a fairly simple section. You need to cut some notches out at each end to take the linings that define the boxes. These boxes house the weights. In the windows I dealt with, the weights were always cast iron, but we'll get to that. Between the linings is the pulley stile, rebated down both sides to fit into grooves in the linings, and with a groove down the centre for the parting bead. This is a slim section of wood that serves to keep the two sashes apart and guides them as they slide up and down. The parting bead is removable to enable maintenance operations such as replacing sash cords. The sashes themselves are moving parts, so they need to be quite robust. You don't want the joints to shake loose. Hence the use of mortice & tenon. The weak point of this kind of joint is the end grain directly above the mortice which can split and open up the joint. The best protection is to "leave horns", extensions of the sash stiles which are often given a decorative shape. I'll come back to the mortice & tenon in another post, get into wedges etc, but for now let's move on. My model is coming together quite nicely now. You can get quite a good idea of how the parts fit together. Generally speaking, stiles are vertical elements, rails are horizontal. Double doors have meeting stiles, sometimes rebated so they fit together nicely. Sliding sashes have meeting rails, which also could be rebated, to avoid a wide open gap like the one below. Notice the stiffening blocks to support the linings along the top of the frame. If you think about the way the parts fit together you'll see why this is necessary. Once the sash boxes are fitted into the wall, we will need a way to access the weights. Cut out a pocket with a half-lap joint at the top and a splayed joint below. I've actually put this on the wrong side by mistake. As shown below it's exposed to the weather. Made myself a little nested family to represent the pulleys. Notche out a housing for these in the pulley stile. Fit the outer sash first. The sash cords are nailed into a groove in the side of the sash. We used to use short galvanised nails with a nice flat head. Once upon a time the weights would have been lead, but all the windows I ever worked on used mass-produced cast-iron weights. Slot the parting beads into place to hold the outer (top) sash then you can fit the inner (bottom) sash. This is held in place by the staff beads. These have a nice bull-nose profile which leaves a convenient slot where you can fit a screwdriver to level them out again for future maintenance. Now you wouldn't want to make a detailed model like this to insert into a model thirty or forty times. I'm doing this as a research project, for didactic purposes, but it could be a "typical detail" file in a real project. The window families deployed in the project would be somewhat simpler in their modelling, more use of symbolic lines. You can see the rebated meeting rails clearly in the image below, and the linseed oil putty creating a weather seal around the glass. The glass is first bedded in putty, then held in place with small glazing sprigs (nails). The outer putty is applied and cut off clean with a glazing knife. Moving on to how these windows fit into a wall, my example is a typical Victorian or Edwardian terrace from the north of England. Housing for the masses during Britain's industrial heyday. Construction is load-bearing brickwork. A "one brick wall", ie 9 inches thick, equal to the length of one brick. The widow sits on top of a shaped stone sill. A rebate is formed in the other 3 sides of the opening. The window sits snugly into this rebate so that most of the frame is concealed. The outer lintel is stone and often has a bit of decorative carving. The inner lintel is timber. That's as far as I've taken it. Not quite finished. Shows the power of a BIM application like Revit. If I had drafted this in 2d, the results after a couple of hours would be more impressive, but after a full day the BIM advantage is kicking in and you're starting to get "views for free". And of course when you discover mistakes or change your mind it's much easier to make changes and update the whole drawing set. I'm going to finish with some sash windows from my photo archive. There are examples from New York and London in there, plus a couple of other towns. Windows built to last, both in construction and style. I love them, and I love knowing how they work. But there is always more to learn so please send in your comments, corrections, snippets of knowledge about how things were done in different times & places. An interesting query came up in the office this morning. May be old hat to you, but I thought it worth sharing. You have a room schedule with categories of room, let's say Front of House (FOH) & Back of House (BOH). You want the areas to display in separate, parallel columns. Just to be clear, you don't want to sort the rooms into groups. Instead you want to keep the rooms in numerical order and just nudge the areas across into the right column, like this. We set up four new parameters: 2 of them are "YES/NO", the other 2 are "Areas" and these ones are calculated fields. They will either display the area, or display zero, depending on the value in the YES/NO parameter. Pretty simple stuff really. The formula syntax is not very hard, but I always have to look it up. It's an IF statement ... IF (BOH, result if true, result if false) Where BOH is a YES/NO parameter. Result if true is "Area", ie make this Area parameter equal to the actual room area. Result if falce is Zero. I can see the logic behind this. You have an instant check on whether or not you made a decision for that room. On the other hand it would be rather cool if I could force zeroes to display as blanks (say in the field format dialogue). This would make the final schedule much easier to read. Legibility is what construction documentation is all about (in my view), so that would be a useful option to have. Obviously Revit knows how to leave fields blank, as my images demonstrate, so it shouldn't be too hard to implement. Just a thought in passing.